Throughout the history of Grand Hotel, dining has been one of the brightest highlights of the guest experience, and every meal is truly special, thanks to exceptional food, service and ambiance. 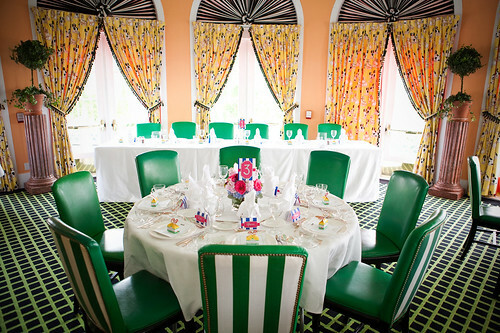 A number of dining options are available, from the legendary Main Dining Room—which overlooks the Straits of Mackinac and where a coat and tie for gentlemen and dress or pantsuit for ladies is required after 6:30 p.m.—to the more casual The Gate House, The Jockey Club at the Grand Stand, Cawthorne’s Village Inn and Carleton’s Tea Store. Most weekend packages feature the Modified American Plan, which includes a full breakfast and five-course dinner daily. The Full American Plan includes a full breakfast, Grand Luncheon Buffet and five-course dinner daily.